GP38-2s 679, 457 and U25B 817 at Columbus, Kansas on December 15, 1978 (George Cheatwood). 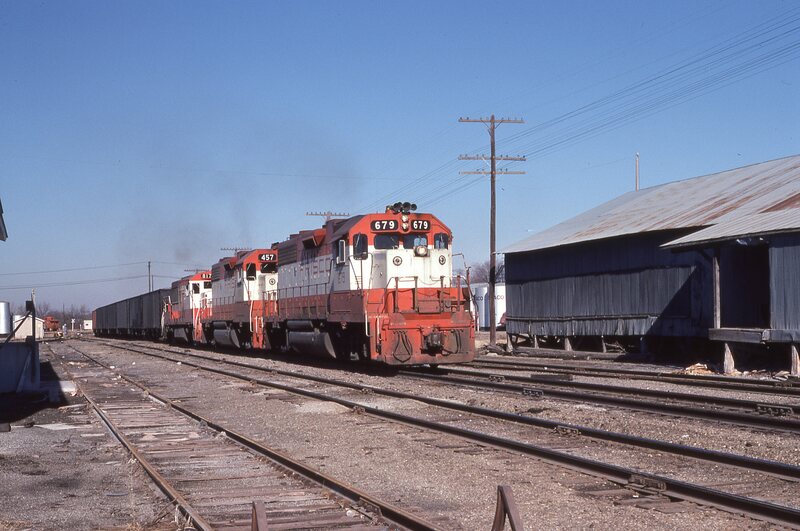 This entry was posted in RT Collection and tagged 457, 679, 817, Electro-Motive Division, General Electric, GP38-2, U25B. Bookmark the permalink.